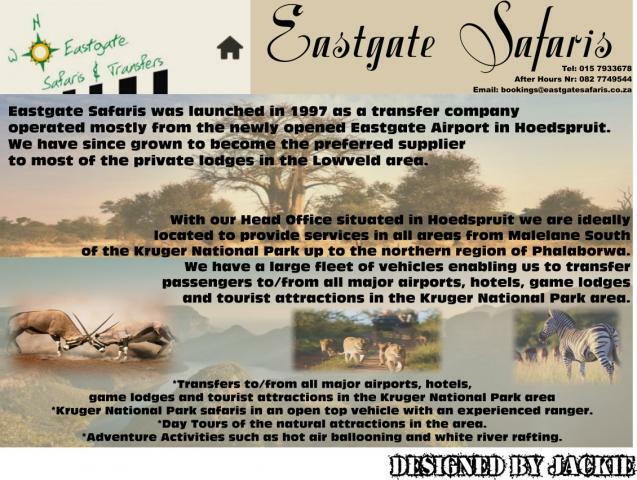 Eastgate Safaris was launched in 1997 as a transfer company operated mostly from the newly opened Eastgate Airport in Hoedspruit. 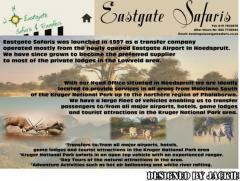 We have since grown to become the preferred supplier to most of the private lodges in the Lowveld area. With our Head Office situated in Hoedspruit we are ideally located to provide services in all areas from Malelane South of the Kruger National Park up to the northern region of Phalaborwa. We have a large fleet of vehicles enabling us to transfer passengers to/from all major airports, hotels, game lodges and tourist attractions in the Kruger National Park area. 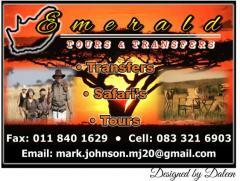 *Kruger National Park safaris in an open top vehicle with an experienced ranger. 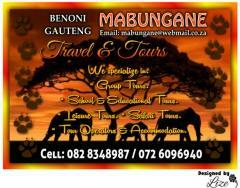 *Day Tours of the natural attractions in the area. 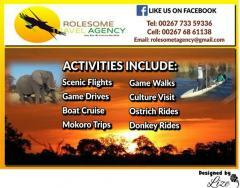 *Adventure Activities such as hot air ballooning and white river rafting.